Pat Greco’s work in improvement science has focused on building system and team capacity for evidence-based leadership. She retired after 37 years in public education as superintendent for the School District of Menomonee Falls. The Carnegie Foundation for the Advancement of Teaching recognized Menomonee Falls as a recipient of its national Spotlight honor because of the district’s focus on the tools and processes used in improving student performance, providing quality service, and sustaining a culture of excellence. Greco has continued her professional commitment to the field of education as a senior director of thought leadership for Studer Education. She is a senior fellow with the Carnegie Foundation and a superintendent’s mentor with AASA. 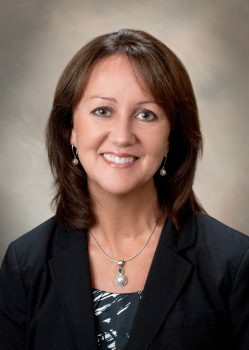 She also serves on the Baldrige Board of Overseers and on the Quality Advisory Team for Cincinnati Children’s Hospital. Greco’s work has been nationally and internationally published, and she is recognized as an instructional leader and advocate for student learning at the state and national level. She received her PhD in educational leadership and administration from the University of Wisconsin-Madison. Pat’s achievements are recognized for impacting student learning and organizational improvement. Pat was named the 2018 Superintendent of the Year, 2018 National Spotlight Organization by Carnegie Foundation, Difference Maker Award in the Studer Education Hall of Fame, Life Time Achievement Award WI Public Policy Forum, Dr. Mike Kneale Distinguished Leadership Award, Educator of the Year by Wisconsin Manufacturers and Commerce, Elementary School of the Year as an elementary principal by State and National PTA, and received the Educational Influence Award from Wisconsin ASCD for her advocacy for children and strong public policy. Pat dedicates her time and professional service to organizations committed to impacting strong learning outcomes for students, educators, leaders, and communities.